Over the last 12 months, we’ve designed and installed a range of luxurious washrooms, showers and changing areas for our clients in the leisure sector. The bespoke designs are as unique as our clients, drawing on a huge variety of different materials and finishes across our range of cubicles, vanities, lockers and benching. Here are just some of our 2018 leisure sector highlights. 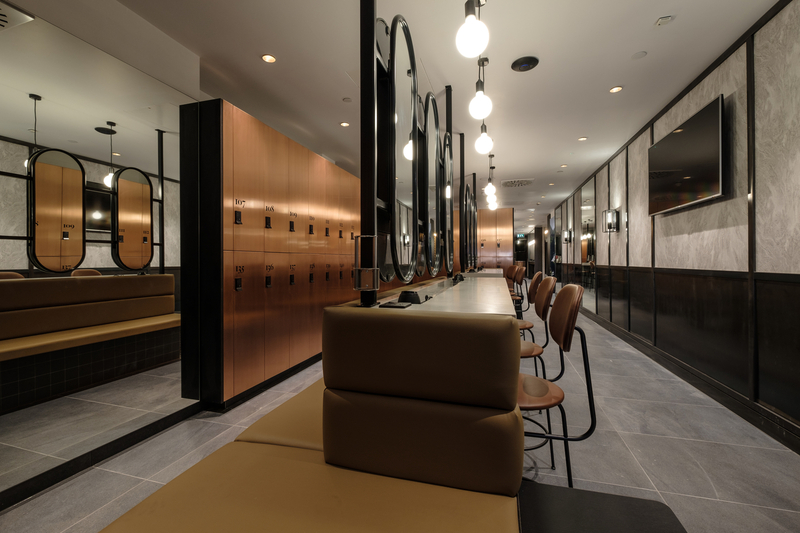 For the refurbishment of the changing area at Barry’s Bootcamp gym in Victoria, we used a combination of Luminoso glass saloon style shower cubicles with black finish ironmongery and Arpeggio Corian vanity and make-up units. The result is a stylish changing area which is as contemporary as the fitness chain itself. 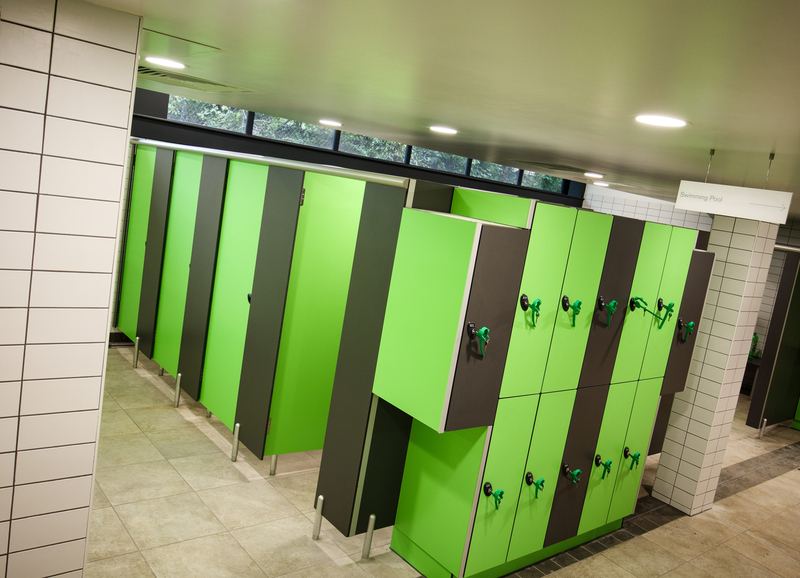 To create this eye-catching changing space at the newly built Mayfield Leisure, we installed Forte solid grade laminate toilet and changing cubicle doors, which feature outward opening doors, along with matching Forza solid grade laminate lockers. We also installed Legato solid grade laminate bench units within each changing cubicle. The lockers, together with cubicle doors and pilasters, were finished using a mix of wood effect veneer and contrasting vibrant green and dark grey which combine to create this colourful space. 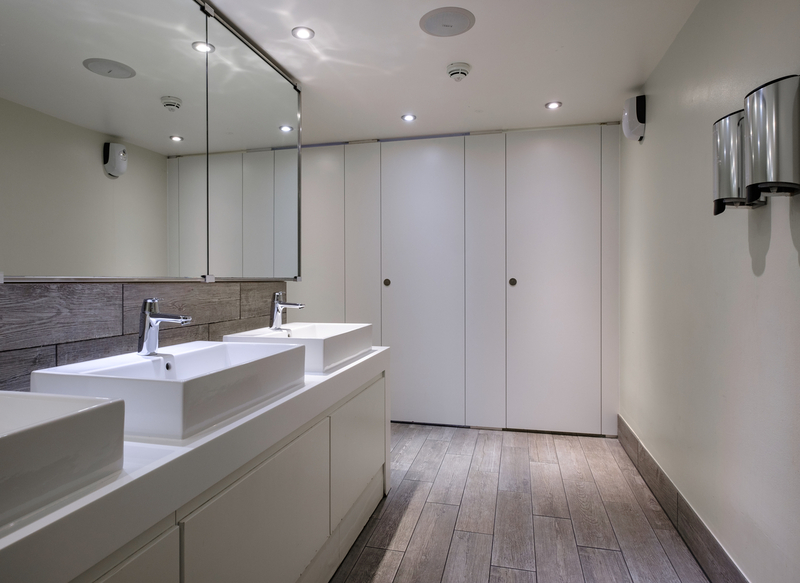 Following our changing area refurbishment of Virgin Active’s Islington branch a few years ago, this year we refurbished the washrooms at its Mayfair gym. To create this simple yet effective look, we installed our popular Alto full height toilet cubicles, manufactured with white Formica Microdot laminate, which uses a subtle textured pattern to lift the plain coloured cubicle doors. The cubicle doors also feature DDA compliant stainless steel locks and hardware. We designed and installed this stunning changing room area earlier this year for Third Space City, a state-of-the-art gym in London. All five gyms within the Third Space chain, including the Tower Bridge gym, are designed to be completely individual. To create the boutique hotel look we used Alto full height flush fronted cubicles faced with copper laminate effect, as well as easy to maintain Concerto integrated duct panels, faced with brushed stainless steel effect laminate. The eye-catching Arpeggio vanity units were manufactured from natural stone and are complemented by Corian make-up units. We also installed the bespoke Luminoso glass shower cubicles with toughened back-painted glass doors to complete the look.